Run flat tyres allow motorists to continue driving after they lose tyre pressure. On average, these products let you travel up to 50 miles, on speeds up to 50 mph (depending on the technology and product). This is due to reinforced sidewalls. In short, this enables drivers to reach the nearest tyre service station without having to change the wheel on the roadside. Consequently, many motorists prefer run flat tyres, as they reduce your reliance on a spare wheel. Run Flat tyres have existed since before World War II. They were initially used by military vehicles as a protective feature, in case the tyres were shot through. However, research continued long after the war and the first non-military products were used as original equipment on a Porsche 959. Later, they were fitted to a range of cars, including Chevrolet Corvettes and various BMW models. When using run flat tyres, they require on-board pressure sensors to inform the driver about any loss of pressure. It may happen that a person keeps on driving for weeks without realising a fault - or tyre damage - has occurred. There are also other ways to modify your car to use these products. These vehicles have a different car suspension system (common with BMW vehicles, which often use softer suspension), as well as changes to the ABS, ESP and other electronic systems. Because of this, it’s best to not use regular car tyres if your vehicle is designed with run-flat products in mind. 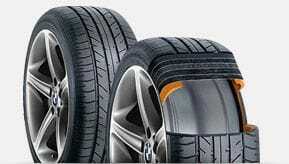 Here at Oponeo, we sell cheap run flat tyres that offer a high quality and comfortable driver. However, run flat products should only be fitted at professional stations with the correct equipment. Regular machines can risk damaging the tyre, fitting it incorrectly or causing it to burst. When in use, run flat tyres offer the highest level of safety, even when at high speeds. This is because a puncture does not cause you to lose control of your car. As such, they are often fitted to premium class cars with powerful engines, capable of reaching motorway speeds with ease. Similarly, sports cars have limited space in the boot and run tyres consequently become an indispensable option. They are also more resistant to mechanical damage, such as hitting a pothole. However, the drawbacks to run flat tyres includes a higher price and a lower driving comfort, due to their extra stiffness. They also have higher rolling resistance, making them less fuel efficient, as well as being impossible to repair. Yet, despite this, many drivers highly favour these tyres for their added safety. 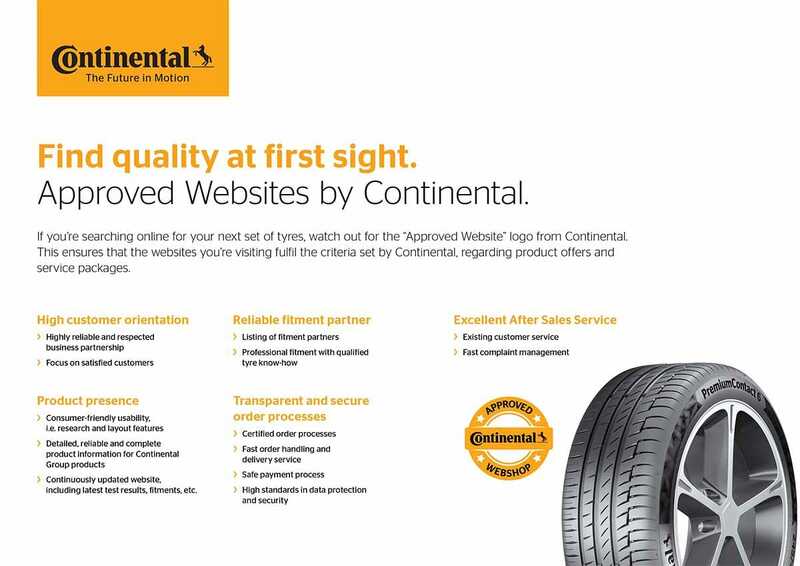 So if you’re looking for the cheapest and best run flat tyres, browse our range and find the best products for your car!